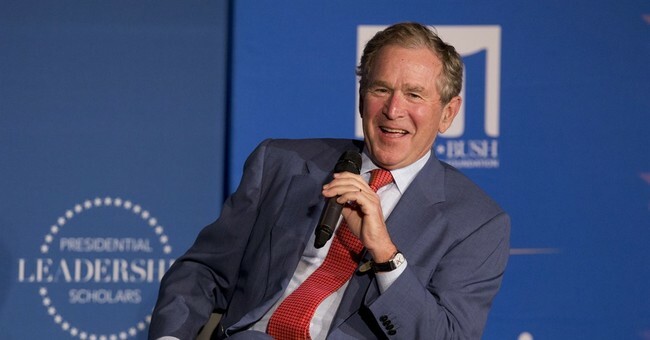 In a radio interview Marvin Bush, brother to former president George W. Bush and former Florida Governor Jeb Bush, revealed he endorses the Libertarian ticket. "That’s why I’m voting libertarian, 100 percent, these two guys—and nobody knows about them, people think it is sort of a wasted vote—but, both Gary Johnson and Bill Weld were each successful two term governors who balanced their budgets,” said Bush on radio show The Junkies on 106.7 The Fan first reported by Buzzfeed News. Bush said he thinks a vote for Gary Johnson is not supporting the Republican ticket. He stated he wants to "vote his conscience" which means voting for someone other than Donald Trump. Marvin Bush added criticism for both parties saying Hillary Clinton was, "one of the most dishonest people that’s ever been in politics." There have been suggestions former Florida Gov. Jeb Bush is also backing the Libertarian ticket.